To make the trip safe and comfortable before traveling safety and healthcare is required. Many people return home on Eid. And sometimes we just try to go outside for traveling. It is not desirable to travel and get sick from food, so be aware that having excessive food should not spoil the entire duration. We have to be careful on that. Traveling is a cool word is really enjoyable for us but some problem makes it abominable. 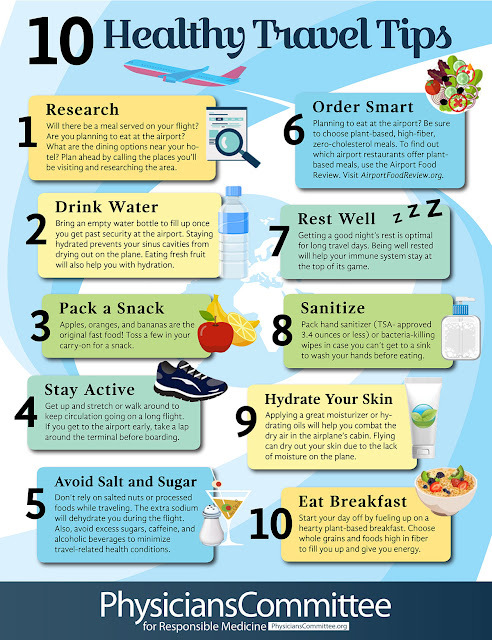 Following some rules can help you stay healthy on the trip or traveling time. Many people get sick before traveling or get sick on these days. During this time, children may also be easily infected by fever, vomiting, cough, cough, diarrhea. Children often like to sit in the bushes on the train, on the bus or on the launches besides the window. As a result, the child suddenly encounters an additional wind blow. After traveling, many children are affected by cold, cough or fever. During traveling time diarrhea is the most common problem. The problem is food and water. Often vomiting or diarrhea can start during travel. Remember: You should not eat outdoor food or street food during traveling. It's better to take home-made food. Before traveling we will make understand the children not to eat outside food on the journey. To avoid accidents, be careful. It is important to ensure these issues that in bus and train children should not get out their head unsafely through the window, in the balcony of the launch or in any ferry without guardians. Taking some steps will help you to stay healthy while traveling. These rules really need to save mine for a good traveler. 1. It is better not to eat too much and belly full before you start the journey. 2. While traveling if there is children encourage children to sleep. 3. Take special medicines if there is a specific disease. 4. Pregnant women follow the doctor's advice during travel. 5. Do not read any book or newspaper during the drive It gives pressure on the eyes. 6. During long journey try to seat spread both of legs. Move the legs in the middle so that the movement of blood is fixed. 7. Do not accept any gift or food from strangers. 8. Exclude exits from buses, ferries, boats etc from other places except for scheduled stations. During Eid travel or others like a trip to hillside-sea beach, those who are patient will take medicine. Even if you do not have the patient, take the necessary medicines along with you. For example, you can keep some medicines needed for stomach disorders, stomach gases, indigestion, common cold cough, vomiting, headaches, body pain, menstrual pain etc. These medicines are not available in remote areas. Any cough syrup with a cough. Anti-Histacine National Medicines for Cough, Cough, or Allergies. Note: It is a good idea not to travel abroad during pregnancy. There may be various problems with abortion. Following these rules are described appear. Enjoy tension free journey and keep yourself healthy during the traveling time.